A study published in the BMJ (British Medical Journal) has found that consumption of trans fats is associated with greater risk of mortality, a greater risk of dying from heart disease, and a greater risk of developing heart disease. Researchers in Canada reviewed 41 observational studies, which means the association cannot be “causal”. But the certainty between trans fat consumption and coronary heart disease is “moderate”, and the certainty between saturated fat and all mortality outcomes is “very low”. 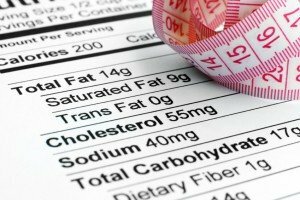 Dietary guidelines recommend that saturated fats should be limited to less than 10% of daily calorie intake. The report concludes that “Saturated fats are not associated with all cause mortality, CVD, CHD (coronary heart disease), ischemic stroke, or type 2 diabetes, but the evidence is heterogeneous with methodological limitations. Trans fats are associated with all cause mortality, total CHD, and CHD mortality.” There was, however, an association with death from coronary heart disease and saturated fats. This study confirms earlier studies that saturated fats are not associated with increase risk of death, heart disease, type 2 diabetes, or stroke. It also brings into question the FDA decision to allow “low level use” of partially hydrogenated oils, or trans fats, by some companies. Facilities are allowed to petition the FDA to let them use these artificial fats. The FDA confirmed in June 2015 that partially hydrogenated oils are no longer on the GRAS (generally regarded as safe) list and should be phased out of human food within three years. Naturally occurring ruminant trans fats, which are present in milk and meats in very small amounts, did not pose an increased risk of heart disease and related deaths.